This Thursday the RE/MAX Dream lunch and learn was hosted by Mark Ledbetter of Marketplace Home Mortgage. 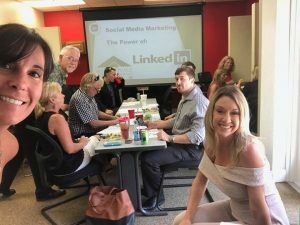 He taught us the features and benefits of using LinkedIn to grow our real estate business. The seminar today was a success as we had agents come from several brokerages to participate in this fun class.